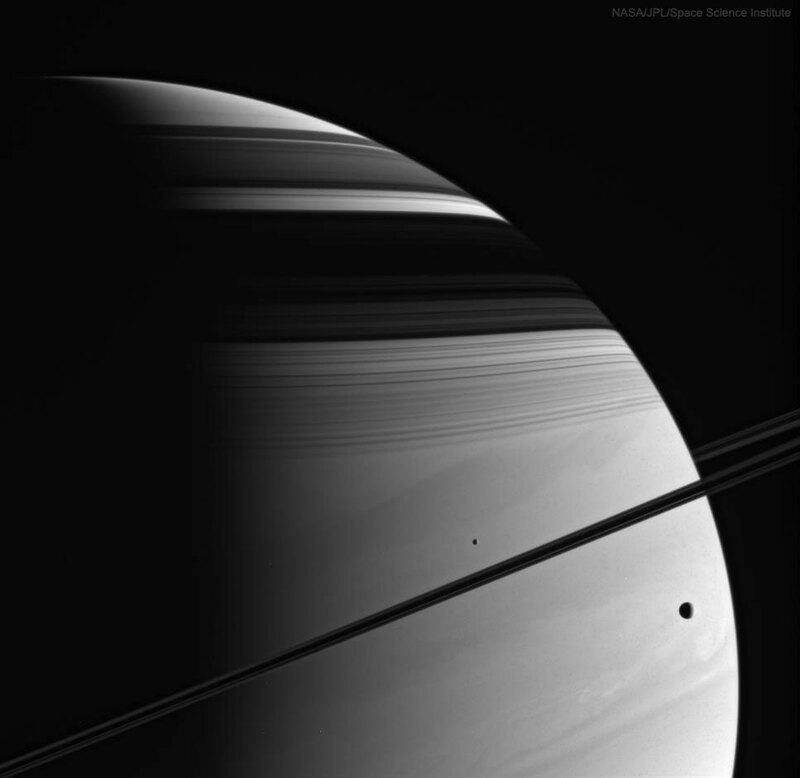 While cruising around Saturn, be on the lookout for picturesque juxtapositions of moons, rings, and shadows. One quite picturesque arrangement occurred in 2005 and was captured by the then Saturn-orbiting Cassini spacecraft. In the featured image, moons Tethys and Mimas are visible on either side of Saturn’s thin rings, which are seen nearly edge-on. Across the top of Saturn are dark shadows of the wide rings, exhibiting their impressive complexity. The violet-light image brings up the texture of the backdrop: Saturn’s clouds. Cassini orbited Saturn from 2004 until September of last year, when the robotic spacecraft was directed to dive into Saturn to keep it from contaminating any moons. Posted on Monday, 2 April 2018 by VGC	This entry was posted in ifttt-photograph and tagged IFTTT, NASA. Bookmark the permalink.